Our range of silver plated cufflinks from designer brand Jos Von Arx are a fine display of affordable fashionable accessories that can add the perfect accent points to a smart suit. Each pair of silver cufflinks in this selection reflect the timeless, understated designs that the brand are well known for, and offer a high quality that proves that each pair of cufflinks are built to last. There are various cufflink shapes to choose from with the popular circle and square being available alongside more unexpected shapes for a unique look. 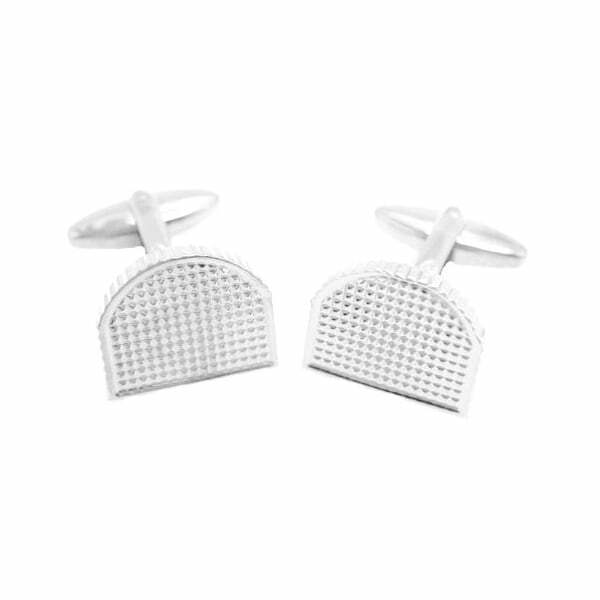 When it comes to smartening up, you can rely on the silver cufflinks from Jos Von Arx. All men’s cufflinks in this range come complete with an official Jos Von Arx gift box making them the quintessential gift option for the man in your life. If you’re looking for more gift options suitable for men and women, we stock a fantastic collection of giftware that includes leather watch boxes, character figurines and clocks. Say it best with a special piece of jewellery from our extensive collection of jewellery where you will find elegant bracelets, necklaces, earrings and rings to suit all tastes. Spend over £30 on your giftware or jewellery and enjoy free UK delivery with your purchase.